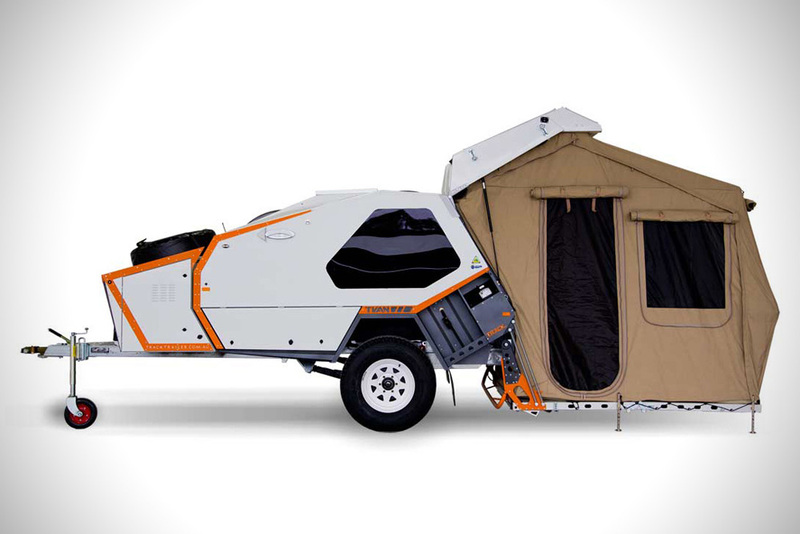 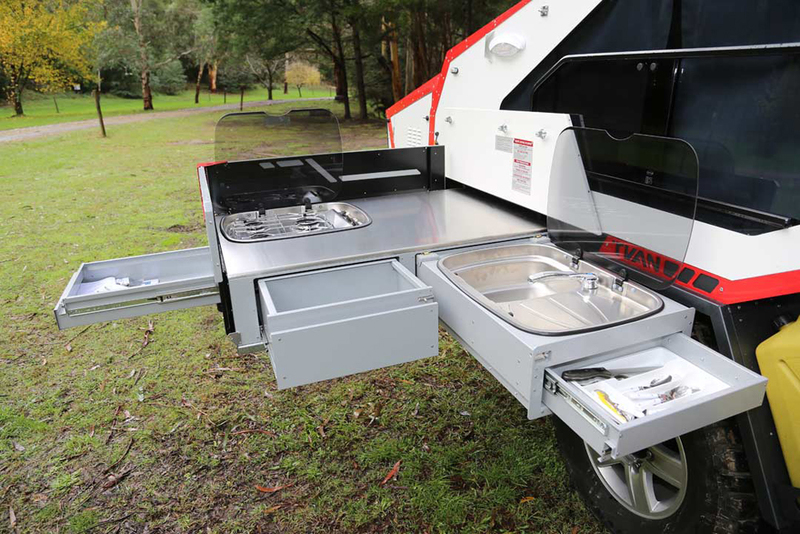 Tvan Camper Trailer is an upgrade on the previous model and has several interesting new features. 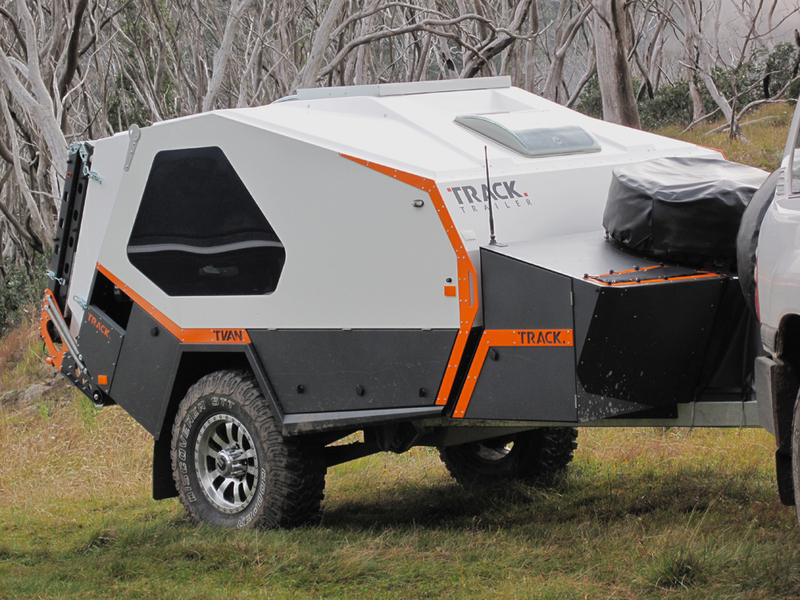 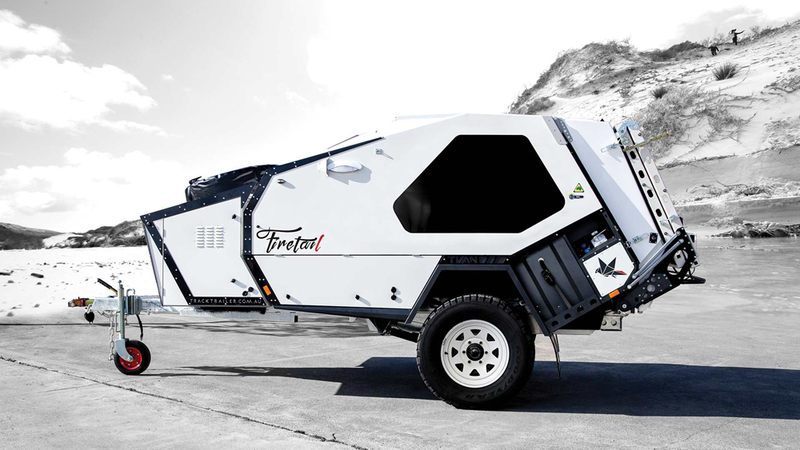 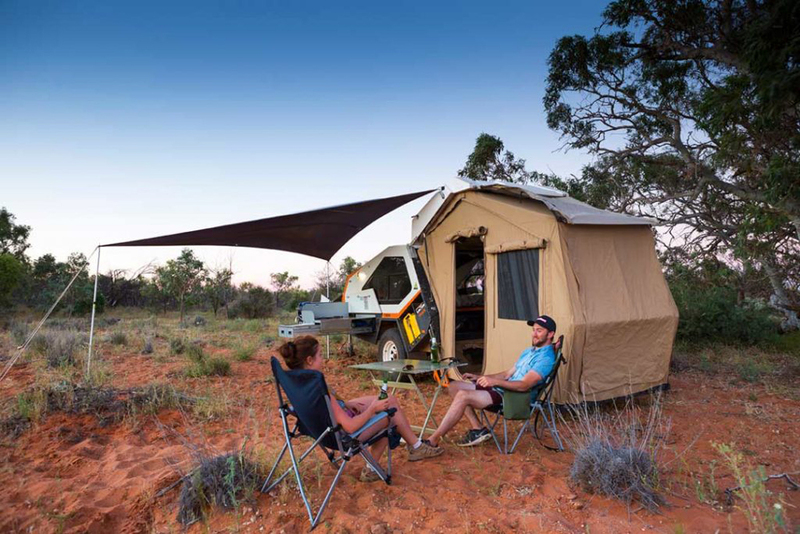 Lets not forget that this thing was designed and tested on the Australian outback, which is known for its seriously harsh conditions…so in order to prove it, should you ever get this camper you should know you get a 5 year warranty on chassis and suspension, that´s how confident this team is about their product. 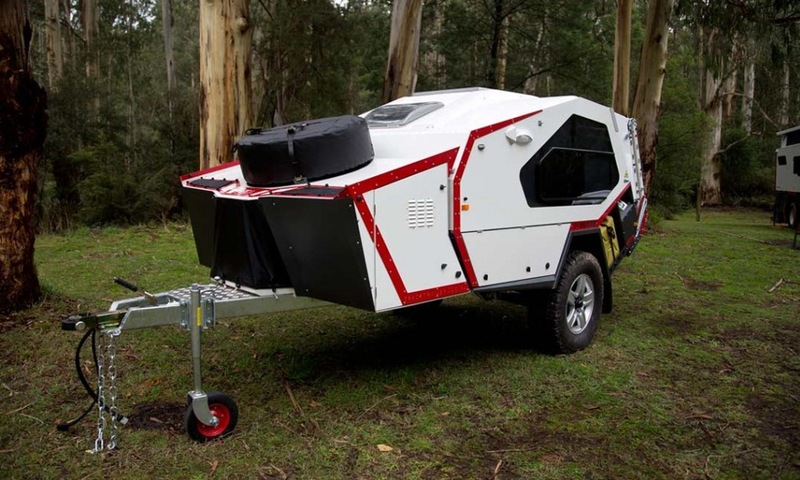 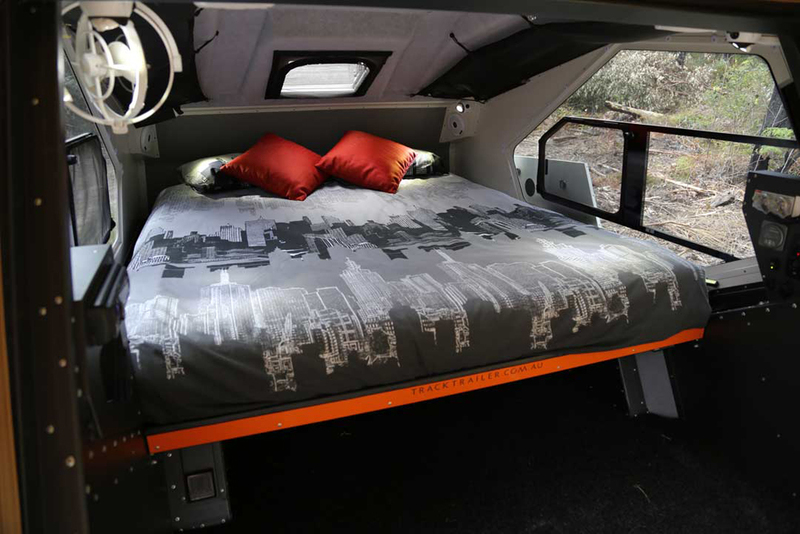 In the rugged camper trailer you get a redesigned kitchen, with more space, fully customizable to fit your specific needs, a sail awning to get shade while preparing your meals, a queen size bed, a 108lt water tank, an electric console so you can easily manage and control electrical appliances and switches, pannier locker doors to ensure insulations and security, and lets not forget the foldable tent that doubles your living space. 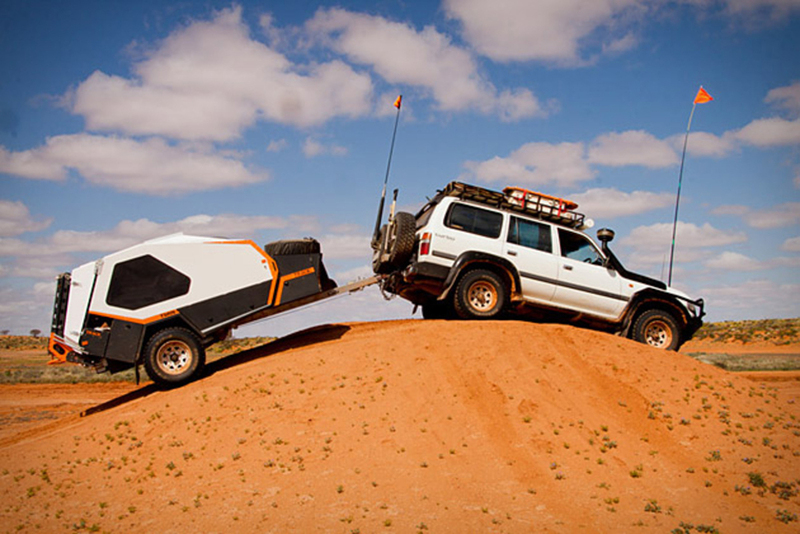 All in a compact, sturdy yet light structure that ensures you may carry it to the hard spots of your choice with your 4×4.